We appreciate your compassionate support for FBCH and know we couldn't do this without you. Corporate donors who meet the criteria to be posted on our site give more than $1,000 in one year (or substantial in-kind donations with approximate value over $1,000). We would be honored to have you partner with us in serving children and families in crisis! Email the following information and questions to Averitt Ennis, Vice President of Development. We are grateful for the businesses that provide a partnership with Florida Baptist Children’s Homes. Each of these dedicated organizations is giving children and families in crisis hope for a greater future. We could not accomplish this important work without these friends. Along with these businesses listed below, we are grateful to our corporate supporters who prefer to remain anonymous. Florida Baptist Children’s Homes is grateful for The Libertore Fund for Children who provides critical care for children in need living on our Lakeland campus and in foster homes across Florida. Florida Baptist Children’s Homes is grateful for the longtime support of the GiveWell Community Foundation and its donors. In 2017, In The Loop summer program was funded by a grant from the George W. Jenkins Fund within the GiveWell Community Foundation. Florida Baptist Children’s Homes is grateful to Walmart because of their support for all six of the residential campuses across the state and helping provide food for children in care.Walmart supports creating opportunities so people can live better. In addition, we are grateful for their volunteering program and the Walmart employees who serve on our campuses. Thank you, Walmart! Florida Baptist Children’s Homes is grateful for Wells Fargo and its local branches that support FBCH’s residential campuses statewide. Wells Fargo strives to make children in our care feel special. For Christmas, they delivered Wells Fargo stuffed animal horses to all residents at our Lakeland campus. In addition, Wells Fargo branches elect the Lakeland, Tallahassee and Pensacola residential campuses as their Community Partners. Thank you, Wells Fargo! 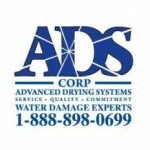 Advanced Drying Systems is pleased to support Florida Baptist Children’s Homes as an annual Friends of Children corporate sponsor. Their generosity is much appreciated as they continue to invest in the growth of our ministry and in the lives of children and families in crisis. Joe L. Davis, Inc., a realty company based in Wauchula, is a proud sponsor of Florida Baptist Children’s Homes. For many years, Joe L. Davis and staff have come alongside our ministry to benefit kids in need. Publix Super Markets & Publix Super Markets Charities, Inc., are longtime supporters of our work for children and families in need from the Greater Lakeland community. Through in-kind food donations and philanthropic gifts, thousands of individuals have been impacted because of Publix. 3 Sisters Chocolate has partnered with Florida Baptist Children’s Homes to make each resident on our Jacksonville campus feel extra special on their birthdays by providing custom, specialized birthday cakes. 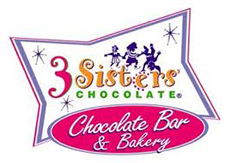 3 Sisters Chocolate feels strongly about supporting organizations, like Florida Baptist Children’s Homes, who have missions to help encourage, nurture & teach the next generation of leaders … our children. Hulbert Homes is a custom home builder based in Lakeland, FL. Their team has graciously provided major renovations to a home on our campus that will be utilized to serve single moms and their children! One More Child is so grateful for their partnership! Publix Super Markets & Publix Super Markets Charities, Inc. Right of Way Masters, Inc.
Royal Plumbing of North West Florida, Inc.
Tatum’s Hardware & Supply, Inc.
T & M Electric, Inc.